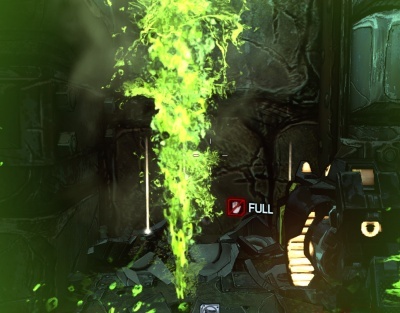 The Corrosive Floortrap is a hazard in Borderlands 2. They were introduced in Tiny Tina's Assault on Dragon Keep DLC. 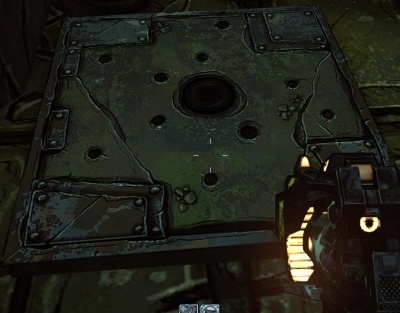 These traps, when stepped on, unleash their chosen element. It is a continuous jet lasting several seconds. It can easily take down your shield if you stay on it for more than a couple of seconds. This page was last modified on 19 August 2013, at 14:22. Content is available under Creative Commons Attribution Non-Commercial Share Alike unless otherwise noted.